On Sunday the 15th of May, Florence will hold the 12th edition of the traditional Palio del Baluardo. 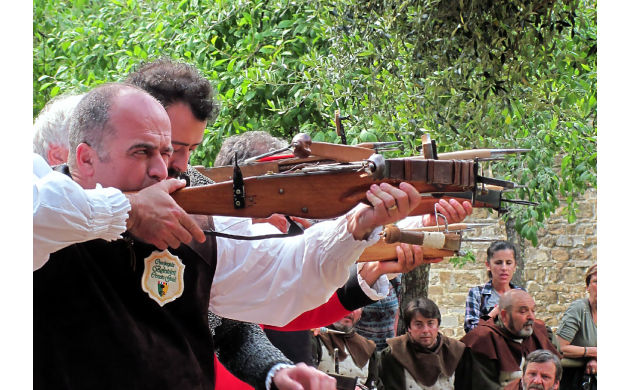 The Palio del Baluardo is an archery competition using the traditional long-stock crossbow. This type of crossbow is not positioned with any support structure, so the entire weight of the crossbow is born by the archer himself (imagine how difficult it must be to take aim in this situation). The use of the crossbow spread across much of Italy during the eleventh and twelfth centuries, not least of which in Florence. The florentine crossbowmen (called Balestrieri Fiorentini) use faithful reproductions of the type of crossbows utilized in the 16th century. These crossbows had a shooting range of over 200 meters thanks to the strength of their metal bowstrings. 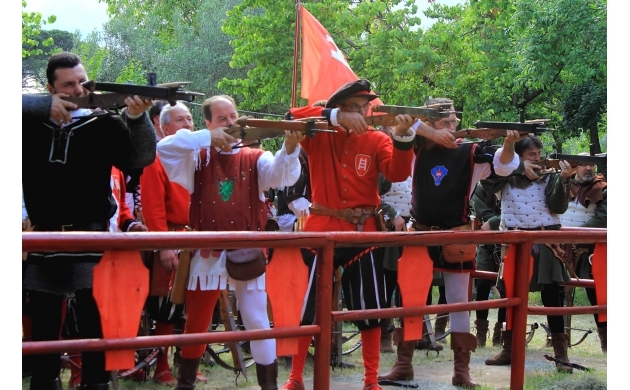 For the Palio del Baluardo, the shooting distance is fixed at 25 meters and involves archers from 8 squads of crossbowmen who come from all over Italy, all dressed in traditional medieval garb. The competition covers two disciplines: individual and team (with 6 archers per team, each shooting three arrows). 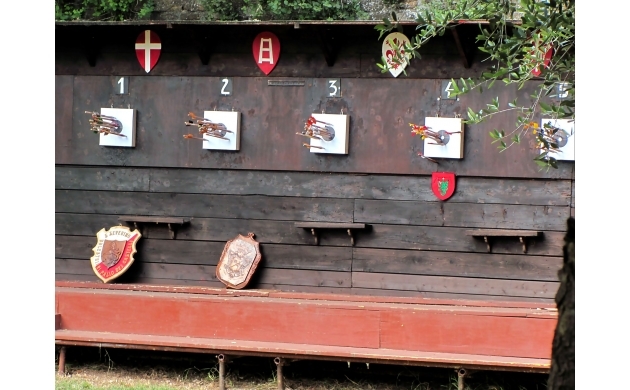 The squad who earns the most points is declared the winner of the Palio. The Palio always falls on the third Sunday in May. This date was chosen to celebrate the expulsion of the Medici from Florence by the rebellious Florentines, and the subsequent founding of the third (and final) Florentine Republic on May 16th 1527. In order to defend the newborn republic and to fortify the city's defenses, the Florentines called on Michelangelo to construct the walls and the towers of Baluardo (meaning 'bulwark'), fortifications which can still be seen between the Porta San Giorgio and the Porta San Miniato. Unfortunately for the Florentines, the republic lasted only 3 years, when Carlo V was able to conquer the city on the 12th of August 1530 after a yearlong siege. It was, in fact, during this siege that the city of Florence began to play the game of "calcio storico" (the traditional florentine football in costumes), creating the birth of the sport. The competition takes place at the seat of the Balestrieri Fiorentini, inside the magnificent and historic Baluardo della Ginevra, a location surrounded by greenery in close proximity to the Forte Belevedere, which has a breathtaking view over the Piazzale Michelangelo and the church of San Miniato.